I was always dubious about photosynth's abilities and utility, but this one has managed to convince me to some extent. *Photosynth is a software which analyses multiple digital photographs of a scene and, generates a 3D model of the scene from those photos. PS: If not already installed, Microsoft Silverlight will have to be installed. It is a small download and, the link is available on the same page itself. What a pity that, the Indian premier (Dr. Manmohan Singh) could not be there to accept the salami (salute) from the armed forces on the eve of India's Republic day. I felt really bad about it. Although, not being there to accept a salute does not make any huge difference, I think Indians are unfortunate to have aged PMs and presidents. I personally do not believe that someone who is physically unfit can run his responsibility well. That applies more if the person is old (65+ years). How can someone with a major heart problem(current PM) or somone who cannot walk on his own legs (previous PM - A.B.Vajpayee) run the country ? If they are so seriously ill that they have to be admitted and operated upon, will they ever be able to concentrate on what the nation needs and where it is going ? I do not think so. One argument against this would be - operations are rather rare, may be one or two during their tenure. But, the critical point is, they had to be operated because they were ailing since long. Thus, their ailment has always been there. Its just that, it reached the peak when they had to be operated upon. Just imagine this - the parliament is bombed while in session, will the PM be even able to run for a few meters to save his own life ? I doubt. And not just the PM, many others also won't. In my opinon, 50-60 is the right age for someone to become a PM. The root of the problem this lies in an accepted philosophy in the Indian political arena - age matures the person. In Indian politics, 55 is young and 40-45 is amateur, below 40 is just a bacchha (a child). 70 is mature, and 75 ripe with maturity. But, at the age of 70-75, the body has wore too much to take the mental and physical load of office. And this is an unescapable biological truth. Age affects the body in ways that can never be reversed (with the currently available technology, i mean). One of the organs worst hit by aging is (unfortunately) the brain. Aging reduces brain mass. Scientists say that, people can lose upto 20% of their brain mass by 85. Myelin content in the brain reduces with age. As a result, the brain actually becomes 'slow'. Interconnections between neurons in the brain (called synapses) decrease with age, so the processing power of the brain inevitably reduces. Due to change and imbalance in concentration of neurotransmitters, memory becomes weak and unreliable. What old age brings to humans should not be new to people who have ever lived with their grandparents. One day while walking across a field a man encountered a vicious tiger. He fled, the tiger after him. Coming to a precipice, he caught hold of the root of a wild vine and swung himself down over the edge. The tiger sniffed at him from above. Trembling the man looked down to where, far below, another tiger was waiting to eat him. Only the vine sustained him. Two mice, one white and one black, little by little started to gnaw away the vine. The man saw a luscious strawberry near him. Grasping the vine with one hand, he picked the strawberry with the other. How sweet it tasted. The characteristic of traditional Zen stories is that, there is nothing in them that cannot be literally understood. The language, the depiction and, the characters are extremely plain and simple. Unlike in other stories, there is no surge of emotion and the protagonist generally keeps calm or in some cases he/she even stays mute. In fact, this is what differentiates a Zen story from a normal one. In a Zen story there is no obvious highlight, one has to search for the highlight on one's own. The stories are open to arbitrary interpretation although, the writer writes it with a definite and purposeful interpretation/morale in mind.The substance in the stories remains very much relevant today, even after thousands of years have passed since their writing. IMO, this story comes near the common saying 'Live every day as if, its your last day on earth'. That is to say that - enjoy the present, the now. By 'enjoy' I don't mean to say 'get enjoyment from' or 'seek pleasure/fun'. 'Enjoy' in this context means, realize fully; experience without prejudice; become aware of. The story says don't think too much about the past (the vicious tiger) and, don't care too much about the future (the other tiger below). Even when caught in a bad situation, don't get drowned in worry, enjoy every little aspect(the strawberry) of life as you would have otherwise done.Of course, the interpretation is highly subjective and should not be taken to the extreme. If somebody stops paying his insurance premium because 'one should not care too much about the future' then, Lord save him and his dear ones. The interpretation problem arises because of the limitation of words. Masters say that Zen can never be understood by words alone. Words are there just to help. Interpreted in another way, the story means - be indifferent to change. No matter what comes, stay natural. Niether too calm, nor very excited. Just be. Microsoft recently released a public beta of 7. I signed up and have installed it. Can't comment about the internals, but going by the appearance, it seems to me - a souped up version of Vista. There are some major and minor UI changes into 7. 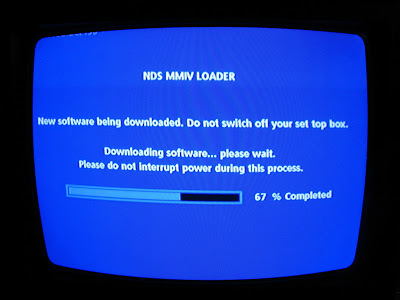 Let me say it upfront, this post is not intended to be a review of Windows 7. It is just a summary of changes that, in my opinion are worth mentioning. Windows 7 consumed a whopping 12GB of disk space! That is quite a lot for just a bare minimum operating system. The side bar has been removed and the gadgets have be put on the desktop directly as I've done to the right. 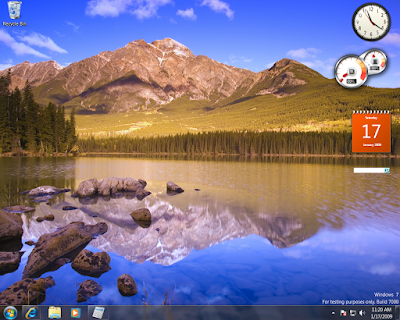 Another major they've made is the way the taskbar looks. Instead of the rectangular elongated buttons, only a icon is displayed in 7's taskbar. Also, you can 'pin' the program to the taskbar i.e irrespective of whether the program is open, the icon will be present on the taskbar. Both these ideas have been 'inspired' from Mac OS X :) IIRC, Mac people call the pinning 'dock'ing. The rationale behind pinning is - for frequently used apps(explorer for eg) the user need not do a separate action of opening the app. Clicking on the icon in the taskbar should bring it up whether or not it had been launched. On hovering over the taskbar icons, app specific buttons show up. 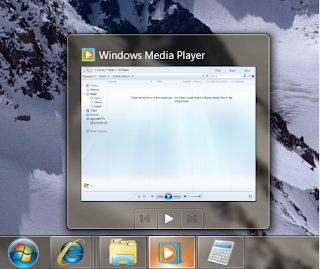 For example, hovering over the media player icon shows media player's preview as well as play/stop buttons. Right clicking on it shows the history of files/urls. The taskbar by default groups multiple windows of the same app into a single icon, and hovering over the icon shows all the windows, then one can click the right one after looking at the preview. I'm sure the the folks at MS must have observed and analysed hundreds of hours of user footage before introducing such a major change, but I find this rather cumbersome. Choosing the right window now takes at least 2 clicks, earlier it used to be done in a single one. This IMO creates a serious problem for Internet Explorer. On clicking/hovering on IE's icon, one gets to view all the tabs and then, one has to select the tab to go to. Thus, everytime one has to select which tab to go to, there is no option to 'just maximize the windows and let me look at the tab I was looking at last'. That can only be done by alt+tab. 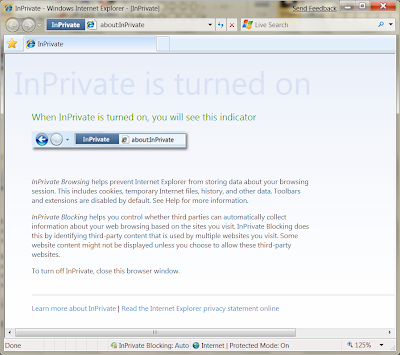 A welcome feature that has been put into IE 8 is 'InPrivate browsing'. 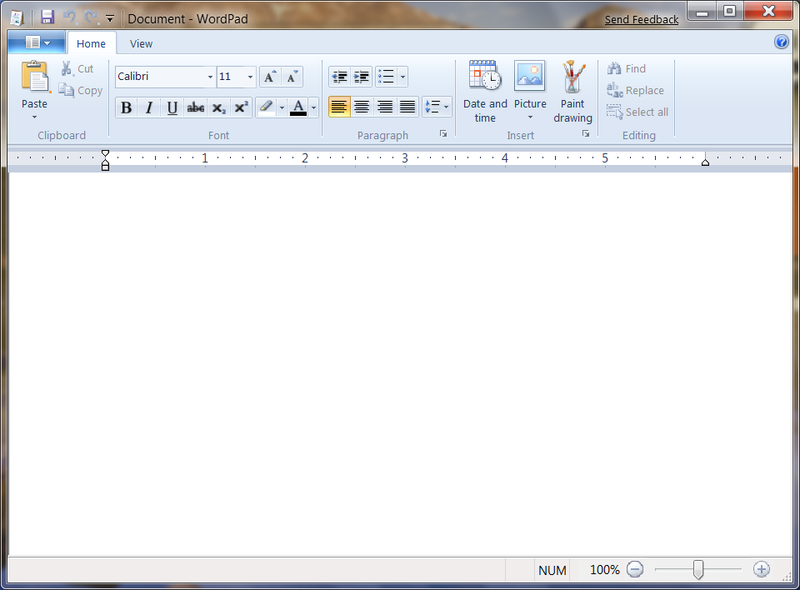 The very useful 'Show desktop' button has been moved to the right hand bottom corner. Actually, since it does not have any icon, it is hardly noticeable. 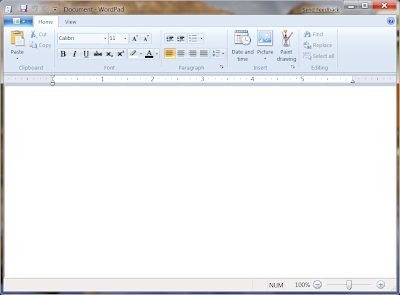 Hovering over the button shows a preview of the desktop with windows shown as empty rectangles. 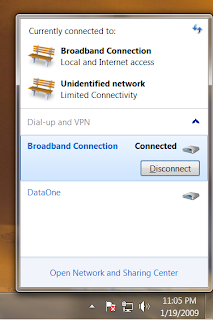 Switching on/off the internet connection has been made easier by having a menu pop up when you click on the networking icon in the system tray. 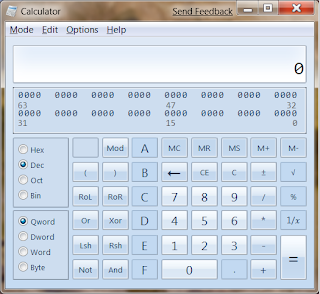 Other mentionable things include the new improved calculator with 'Programmer' and 'Statistics' mode. Unit conversion and date calculation panes have been introduced to the right. The user can keep a history of his calculations in all modes except programmer. 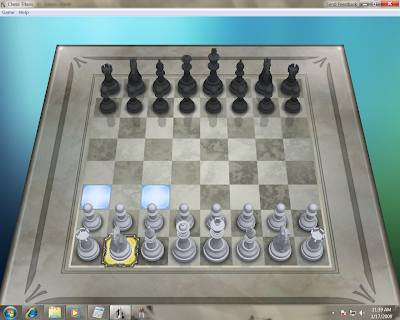 PowerShell comes bundled with Windows 7; as does 'Chess Titans' (reminds me of the Chess on Mac :) ). A Hacker's Audacious Plan to Rule the Black Market in Stolen Credit Cards - A very interesting read. Reminded me of Shimomura's Take Down . Ideally, the word 'cracker' should be used here in place of 'hacker'. Read this for the explanation. I love science jokes and puns no end :) Especially biology related. A. Only one, but it takes millions of years. I heard this morning that veterinarians are beginning to use on household animals expensive diagnostic equipment previously only available for humans, including CAT and PET scanners. Q: Why won't Heisenbergs' operators live in the suburbs ? A: "You may have graduated but I've got many degrees"
and kept the other as a control. A mushroom walked into a bar. The bar tender said, "Get out of here! We don't serve your kind." Mushroom: "Hey, what's the problem?" Bartender: "Just get out of here. We don't serve mushrooms." The mushroom in anguish says, "Why not? Ain't i a fun guy ?" According to latest news, the huge new prime number discovered recently is exactly four times bigger than the previous record.